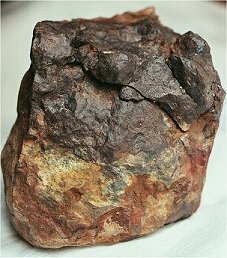 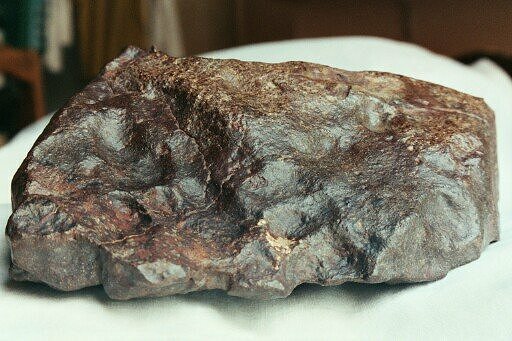 Remarks : One of the largest meteorites of Reg Acfer, partly found underground. 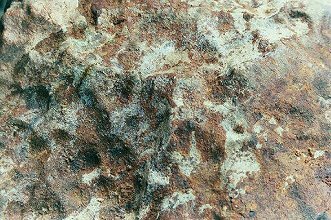 Dark matrix with nice chondrules, and metal flakes that can have the shape of a 2 to 3 mm ball. 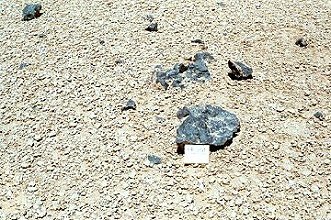 Type L non equilibrated chondrite, despite 17,4% (average) of fayalite. 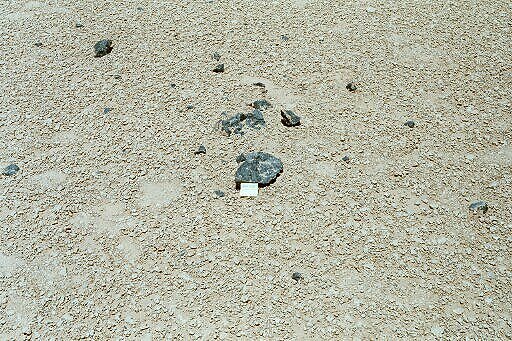 Detailed view of a part of the meteorite that was under the soil surface and therefore protected from sand & wind erosion.